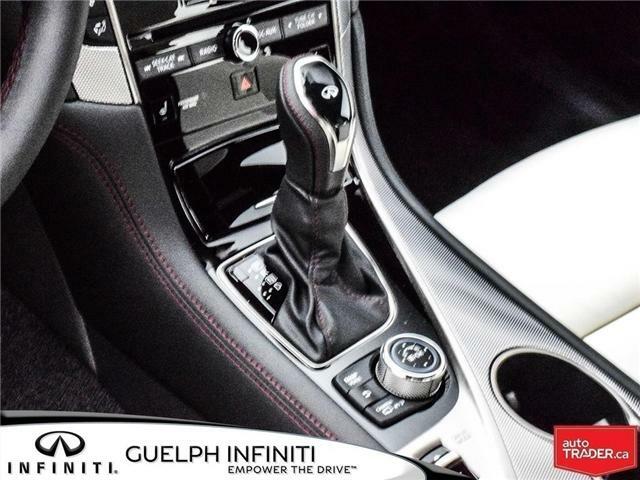 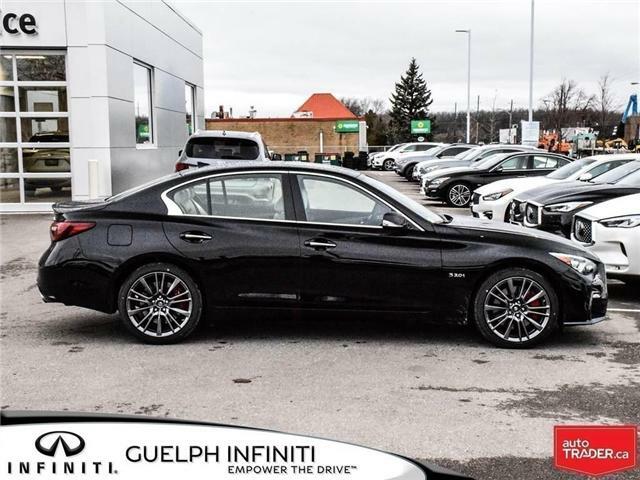 Whether you are tearing up the track or taking the scenic route, this 2019 Infiniti Q50 Red Sport 400 is something beautiful! 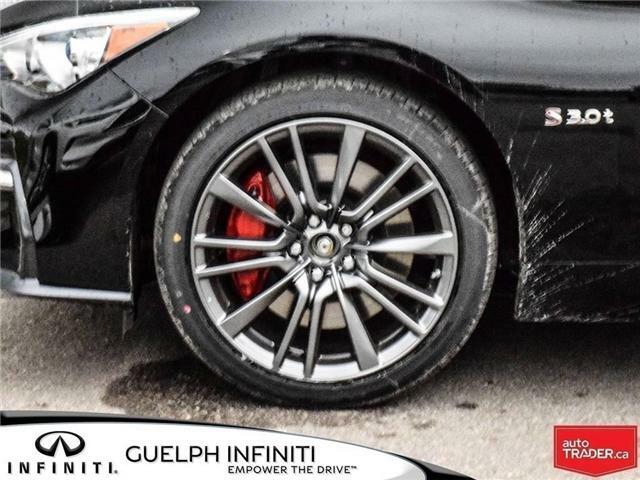 Come and experience the tire roasting 400-HP, Six Cylinder Twin Turbo 3.0L V6 Engine, mated to a 7-Speed Automatic with All-Wheel-Drive (AWD), this vehicle turns every drop of fuel into a tidal wave of Torque! 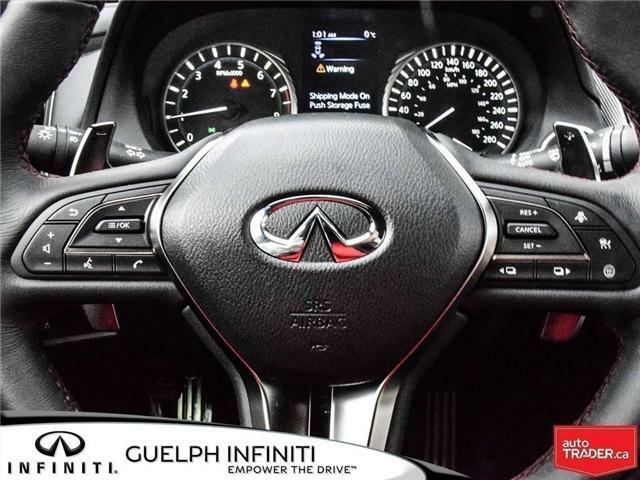 Add in Dynamic Digital Suspension, Sport Brakes and Paddle Shifters, and you have got a true work of Performance Art on your hands! 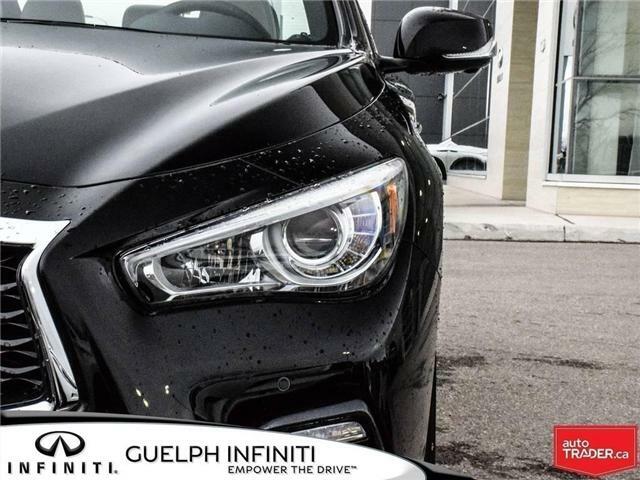 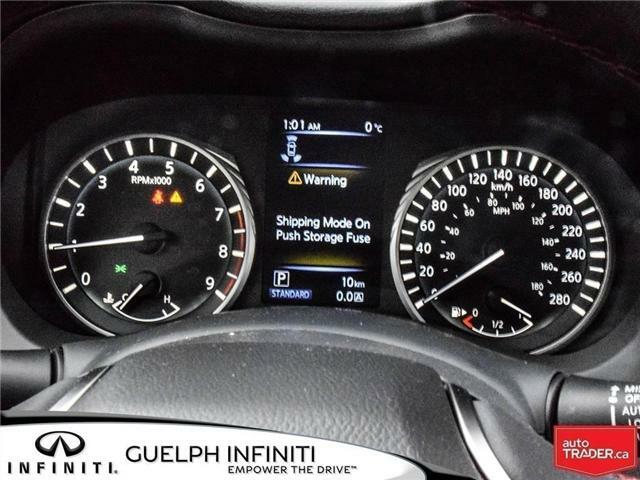 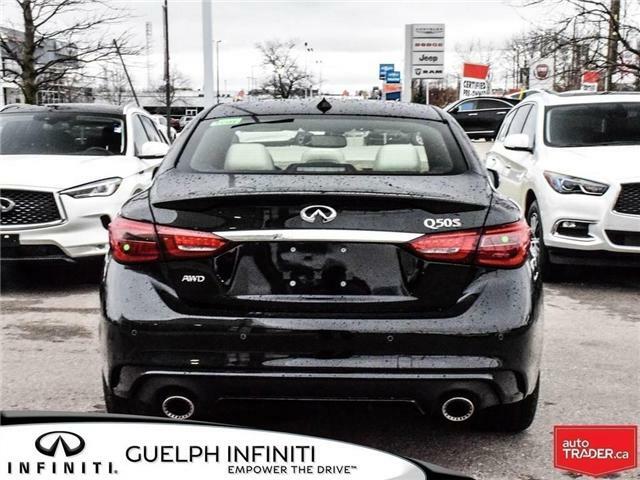 Incredibly, this Q50 also offers an array of Driver Assist Technologies including Blind Spot Warning, Back Collision Intervention with Cross Traffic Alert, an Around View Monitor with Moving Object Detection, and Front and Rear Parking Sensors! 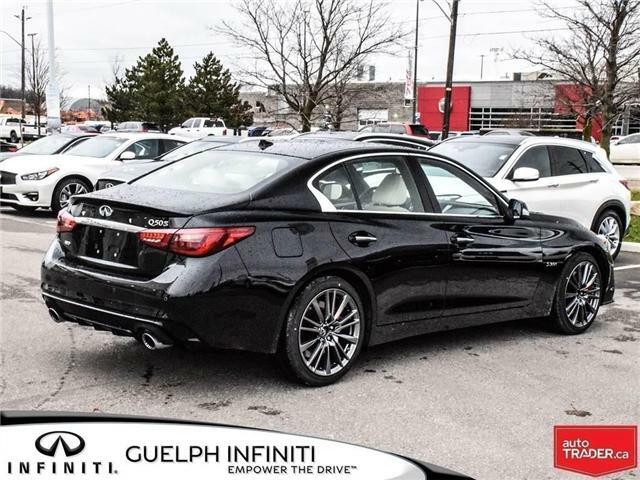 Plus with Lane Departure Prevention, Intelligent Cruise Control, Distance Control Assist, and Blind Spot Intervention, you will be sure to drive with confidence! 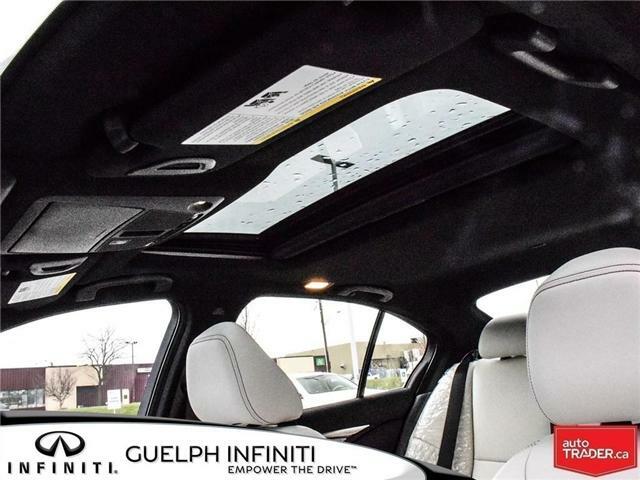 Even the technology is designed to perform, with the 16 Speaker BOSE Premium Audio System, with CenterPoint, and including CD/AM/FM/SiriusXM Radio, with USB connectivity, and Bluetooth Audio! 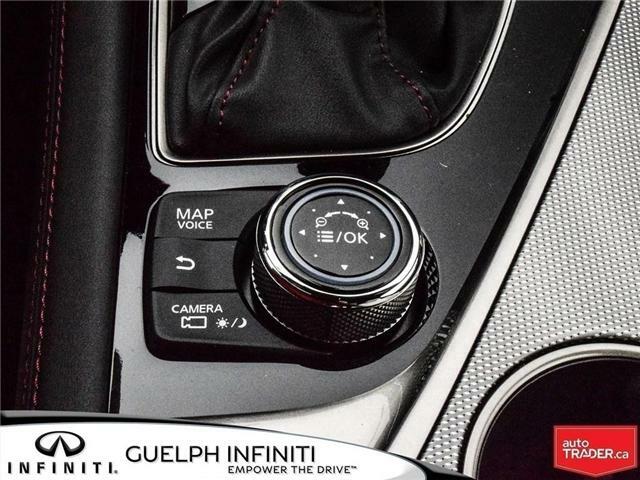 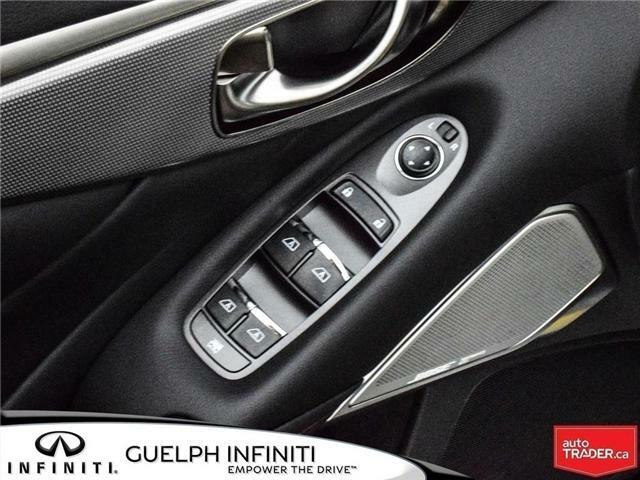 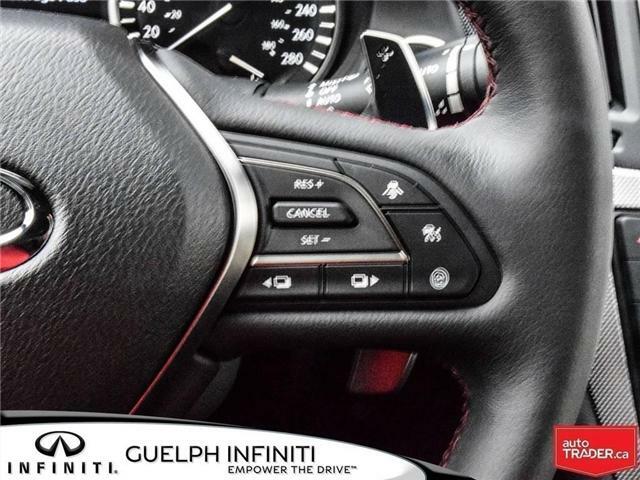 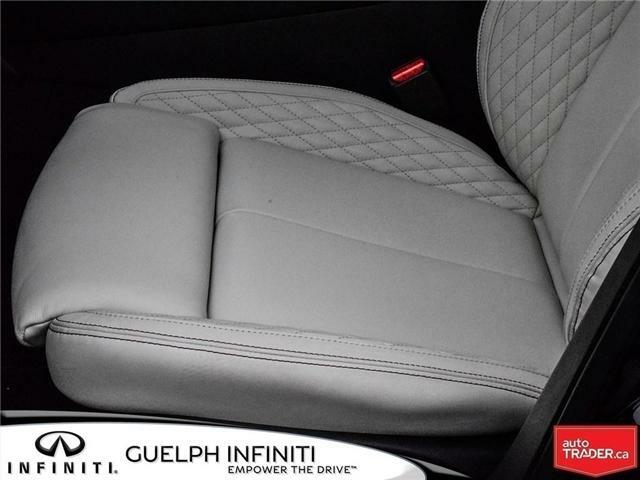 You can also tap into technology with Infiniti InTouch, our premium digital environment! 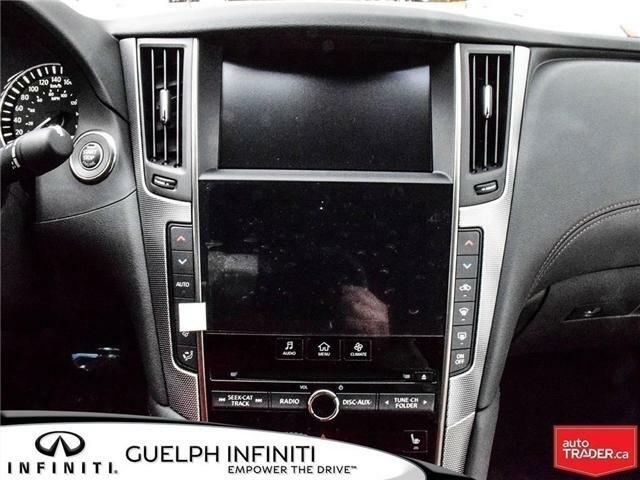 It is a fully customizable platform (including 8 Inch Upper and 7 Inch Lower Display Screens), that seamlessly brings your favorite apps into your Infiniti - all accessible with voice recognition and on screen command, including Navigation, so you stay focused on the road ahead! 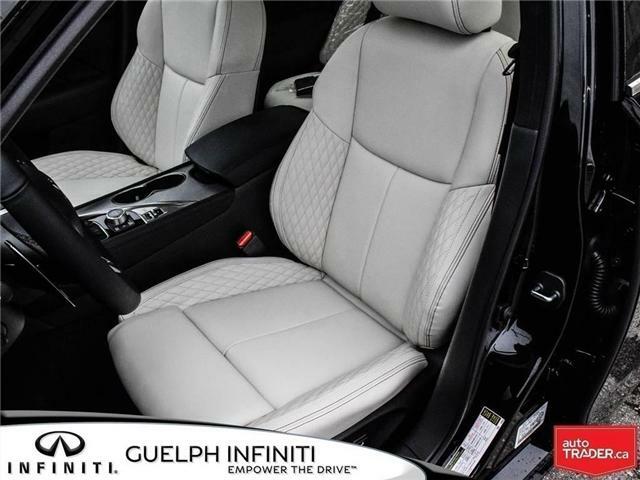 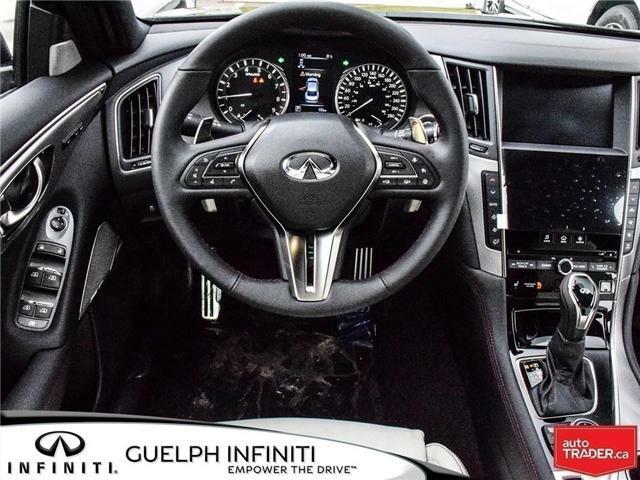 Inside, you will find Semi Aniline Leather and Quilting Sport Seats, a Heated Leather Wrapped Steering Wheel, Memory Seating, the Infiniti Intelligent Key with Remote Keyless Entry, Dual Zone Automatic Temperature Control, a Push Button Ignition and Infiniti InTuition - for storing Climate, Audio, and Driving Preferences to each Intelligent Key. 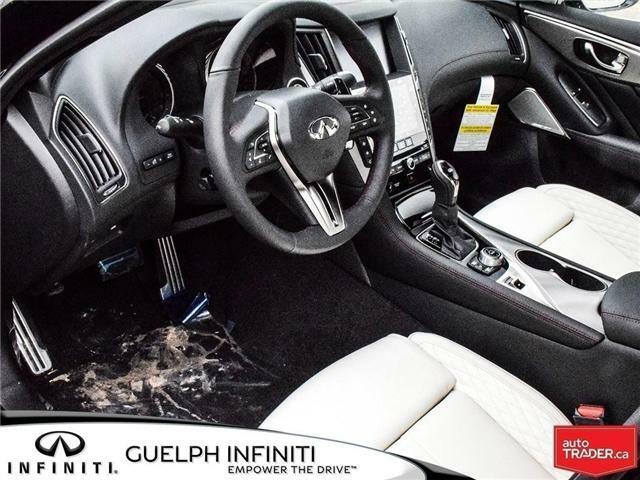 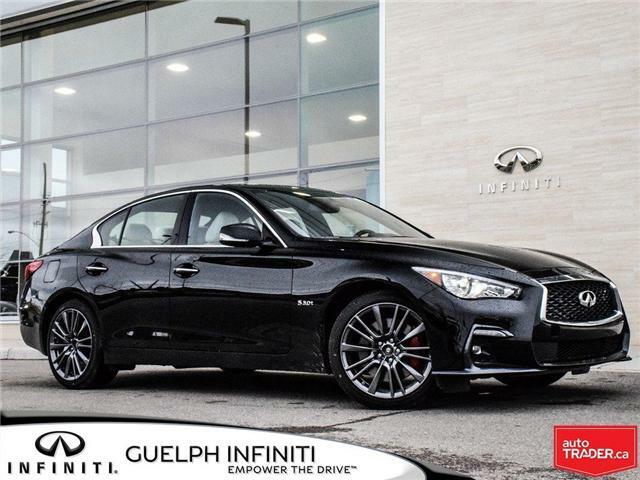 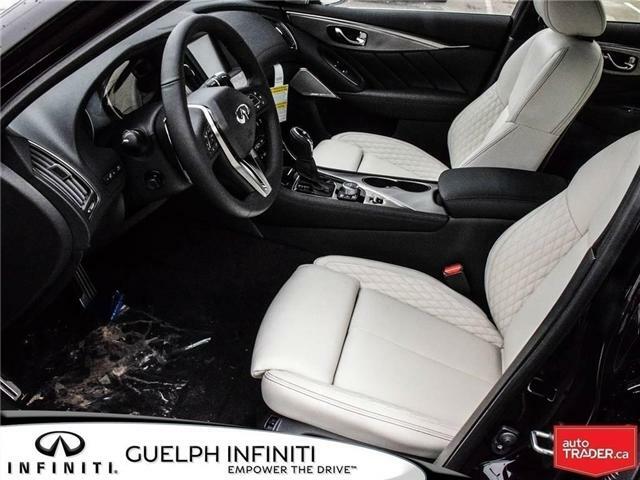 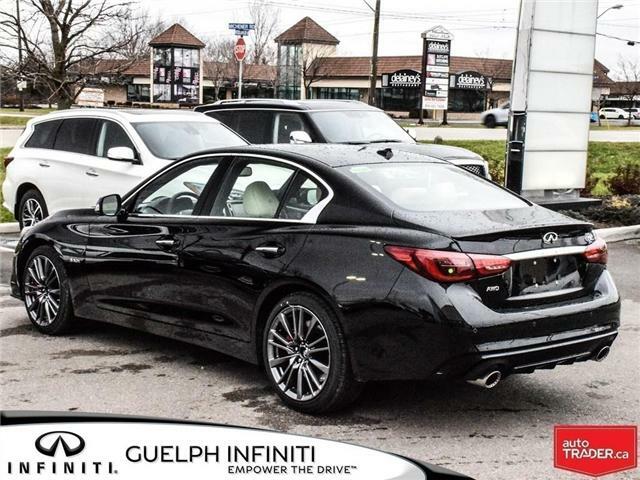 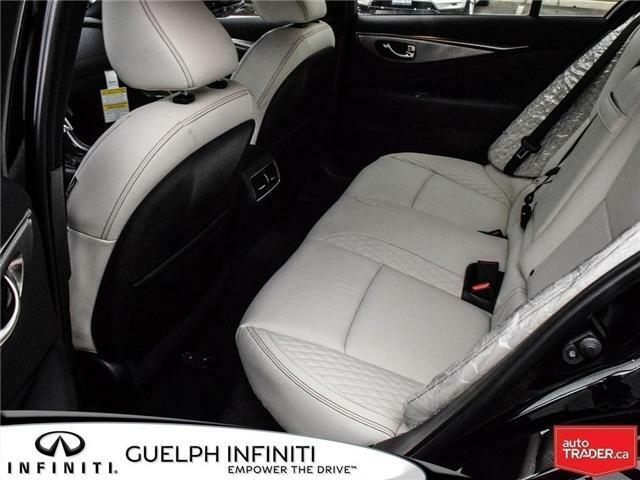 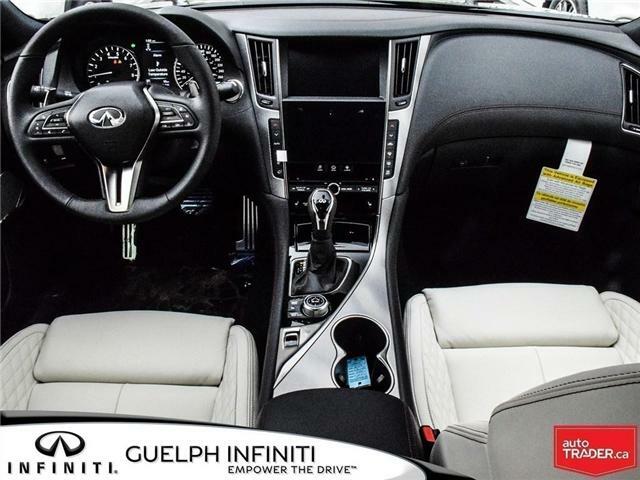 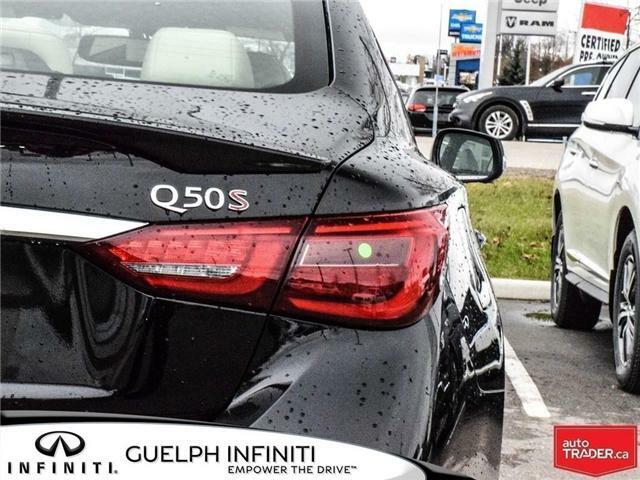 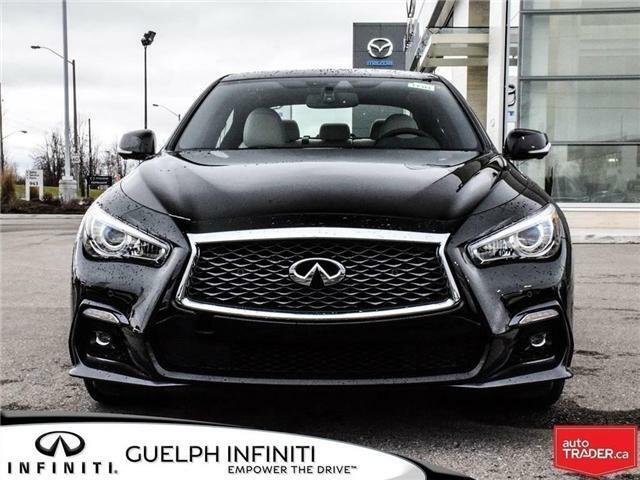 And with 19 Inch Tripe 5 Spoke Alloy Wheels, a Tinted Power Moonroof, a Chrome Grille, Red S Fender Deck-Lid Badging, and Dual Chrome Exhaust Finishers, this Q50 Sport is both brilliant and beautiful!